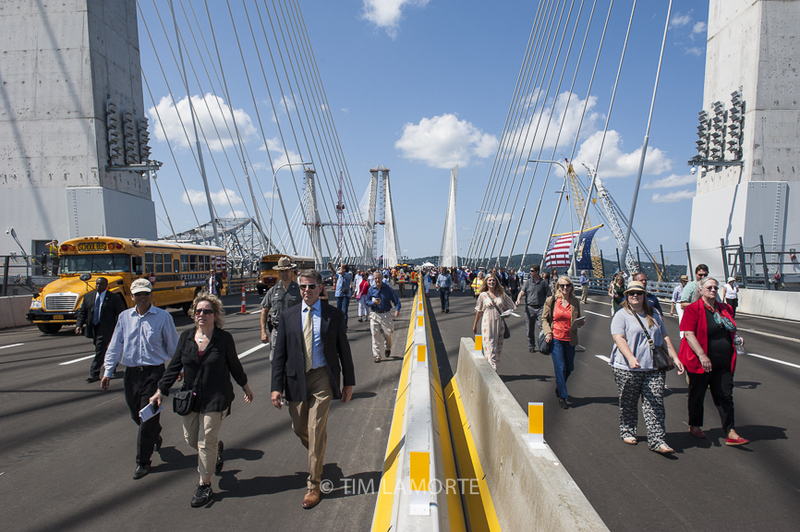 Four years after the start of construction, the westbound side of the new 3.1-mile twin-span bridge that crosses the widest section of the Hudson River opens this evening. 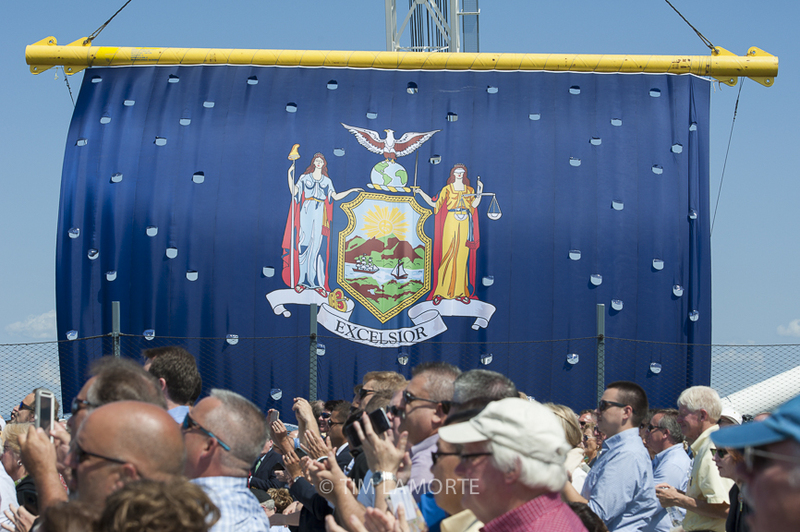 To mark that milestone, Governor Andrew Cuomo presided over a ribbon-cutting ceremony yesterday (Aug. 24). Earlier this year, the bridge was named after his father, Mario, who served as governor of New York from 1983 to 1994, and who passed away in 2015, at age 82. 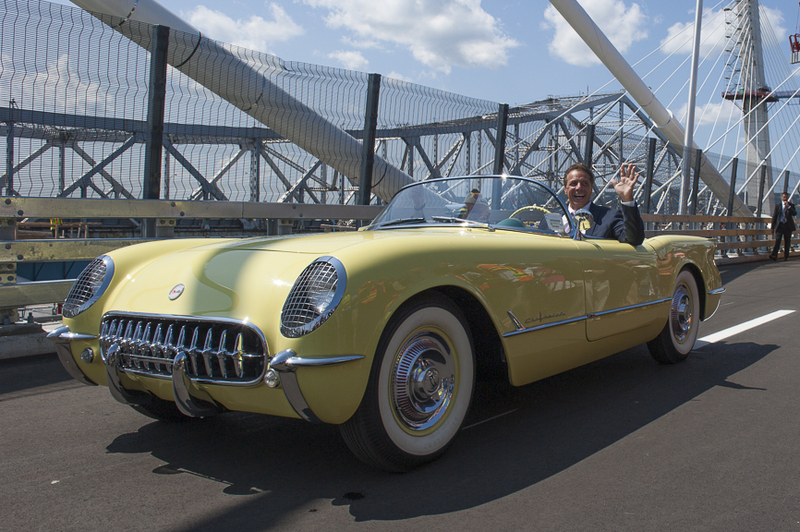 The current governor arrived and departed in a 1955 Chevrolet Corvette. In the passenger seat was 96-year-old Armando “Chick” Galella of Sleepy Hollow, who served in the U.S. Army during World War II and survived the attack on Pearl Harbor. 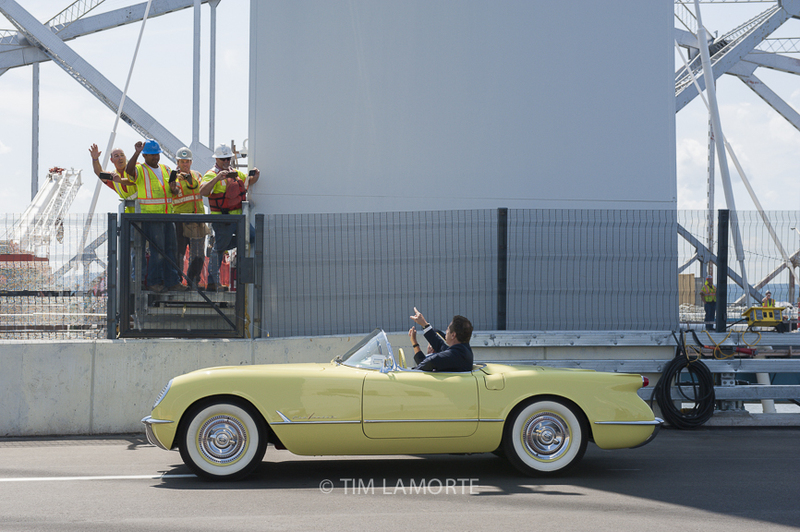 On Dec. 15, 1955, Galella drove the same model of car during the dedication procession across the Tappan Zee Bridge, which the new bridge will replace. Starting tonight at 9 p.m., and continuing until tomorrow at 8 a.m., traffic headed to Rockland County will shift from the Tappan Zee Bridge to the new bridge. 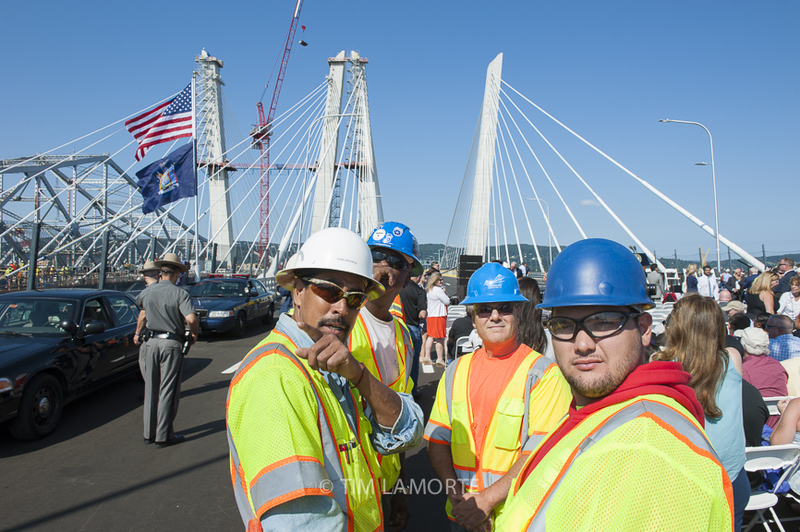 This fall, traffic headed to Westchester County will also shift onto the finished half of the new bridge. 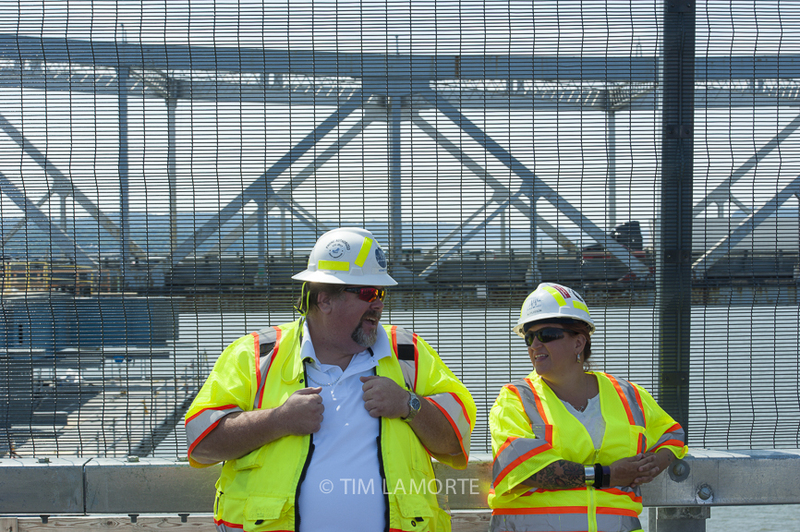 Demolition of the Tappan Zee Bridge will then begin and the eastbound half of the new bridge will be connected to land. Upon completion in 2018, the new bridge will feature eight traffic lanes, four emergency lanes, and a bicycle and walking path with six viewing areas. 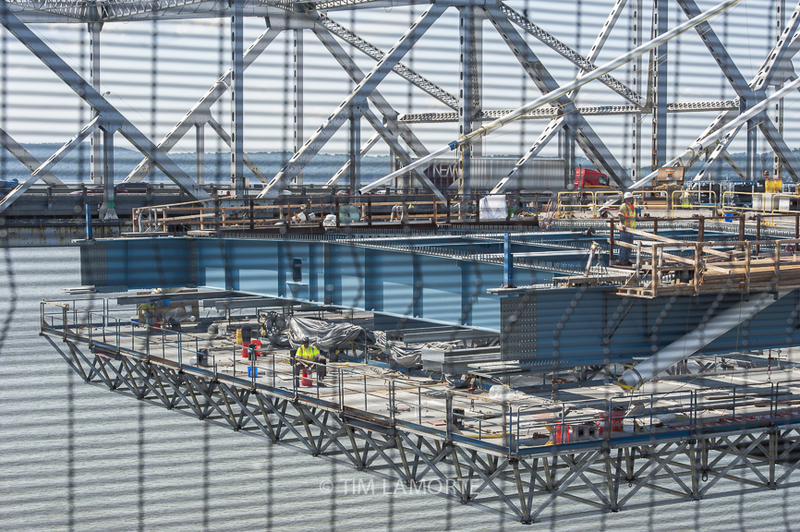 Eight 419-foot towers and 192 stay cables hold up the new bridge, which includes more than 110,000 tons of American-made steel.